There’s no cure for psoriatic arthritis, an autoimmune disease that affects up to 30% of people who have psoriasis and can cause symptoms like pain, swelling, and stiffness in your joints. But the good news is that there are things you can do to make living with the condition more bearable. Here, 31 strategies that can help you manage your symptoms and feel like yourself again, from taking medications like over-the-counter nonsteroidal anti-inflammatory drugs to lifestyle changes such as getting plenty of exercise, sleeping enough, and monitoring your posture. People with psoriatic arthritis are more likely to be overweight than other people. It’s not clear which comes first—the weight or the disease—but extra weight stresses your joints, and ups your risk for heart disease, diabetes, and metabolic disorder (all of which are already a risk in people with psoriatic arthritis). Weight loss can also help some of the medications work better, says Kevin McKown, MD, head of rheumatology at the University of Wisconsin School of Medicine and Public Health in Madison. Pumping iron is probably off the table—but that doesn’t mean exercise is. 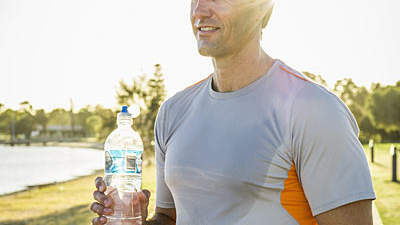 In fact, experts recommend doing low-impact activities that won’t damage your joints. Swimming and walking are good choices. You can also combine the two by walking laps in the pool. 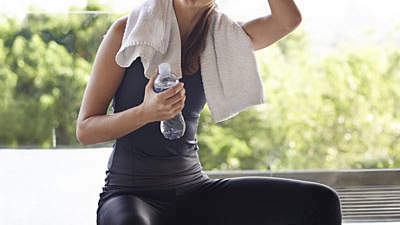 “Having an exercise regimen is very important,” says Michael Siegel, PhD, director of research programs at the National Psoriasis Foundation. Talk to your doctor about which exercises would be best for you. Sometimes even gentle exercise can jar joints. When that happens, back off, at least for a while. “If you’re experiencing a significant amount of pain, it’s a good idea to stop,” says Siegel. “It’s not a case of pushing past your limits to achieve some goal.” You don’t necessarily have to give up the activity but you may have to pace yourself. The flowing movements that make up this Chinese martial art have long been recommended for people with arthritis. 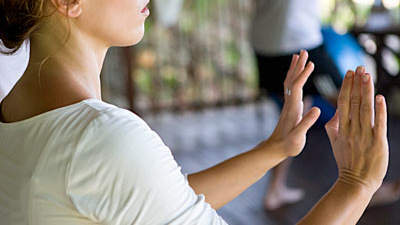 “T’ai Chi is an excellent overall exercise because it helps build a lot of functional strength and can help you with everyday activities,” says Dr. McKown. Some people have also found relief with yoga but beware: certain poses can cause injury, especially in the neck, Dr. McKown adds. Inflammation of the feet and ankles can make shoes painful. Try a shoe with a high toe box giving ample room for swollen toes. Shoe inserts, heel cups, and heel pads may relieve pain in other areas of the foot. “People need to wear really good shoes that are very well supported, either a tie shoe or a slip-on shoe, certainly not mules or high heels but flatter shoes,” says Lenore Frost, PhD, clinical associate professor of occupational therapy at Sacred Heart University in Fairfield, Connecticut. Fatigue is a frequent complaint of people with psoriatic arthritis. In one study, about 50% of patients reported trouble sleeping. The best thing you can do? Try to get a good night’s sleep. And how to do that? Follow good “sleep hygiene” guidelines such as avoiding caffeine and nicotine, exercising (gently), and going to bed and waking up at a regular time each day. Posture is critical for anybody who has a musculoskeletal issue, including psoriatic arthritis. And it’s especially important in the age of computers, laptops, and iPhones, which cause many of us to slouch forward with rounded shoulders. Some people with arthritis may also slope forward to protect themselves. Don’t do it. “You want to keep as erect an upper quadrant as you can,” says Frost. “Shoulders back, head tucked back.” Much like the piano posture you may have been taught as a child. Posture is just as important when you’re asleep. If you sleep on your side, put a pillow between your knees to even out your hips, advises Frost. (If you have a flare on one side, though, don’t sleep on it.) Find a pillow that doesn’t cause too much forward flection or extension of the neck. “It’s all about keeping as good an alignment of the skeletal system as you can,” says Frost. Uveitis, a painful inflammation of the eye, is more common in people with psoriatic arthritis. So check in on your eye health by making regular visits to a healthcare professional. Early diagnosis and treatment can help prevent vision loss and tissue damage. Having psoriatic arthritis doesn’t mean having to forego a trendy bag or briefcase. But you should choose a bag that’s on the smaller side, so the extra weight doesn’t strain your joints, says Frost. Consider carrying your bag on your forearm instead of using the fragile joints of your hand. And try to use a cross-body bag rather than getting one that has to hang off a single shoulder. The right medications are important, not just for relieving pain from psoriatic arthritis, but also for preventing long-term joint destruction. Today, there are many classes of medications available, from over-the-counter NSAIDs (non-steroidal anti-inflammatory drugs) like aspirin or ibuprofen to highly sophisticated DMARDs (disease-modifying antirheumatic drugs) that slow the progression of the disease. Talk to your doctor about the right drug or drugs for you. “Most people (with psoriatic arthritis) are controlled by medication,” says Dr. McKown. The flip side of having a lot of different medications available is that you may need to try a few before finding the one that works for you. “We don’t have a good predictor of who’s going to respond better to which medication,” says Apostolos Kontzias, MD, staff rheumatologist with the Cleveland Clinic in Ohio. Specialists generally have a sequence of first-line, second and third-line drugs they try. The good news is that most people will eventually find the right fit. “We keep trying until we find the right one,” he says. Having psoriatic arthritis—or any chronic disease—can be an isolating experience. Pain and discomfort may make you not want to go out or seek social contact, but having a supportive community will make life much more enjoyable. Thanks to the Internet, it’s easy to find one-on-one help and groups of people who understand. The National Psoriasis Foundation, the Arthritis Foundation, and Inspire can help you connect. Stress can aggravate inflammation and is a well-known trigger for both psoriasis and psoriatic arthritis flare-ups, says Dr. Kontzias. For that reason, many patients find that stress management techniques can often improve quality of life. Try deep breathing, gentle yoga, or cutting down on multi-tasking. According to one recent study, people with psoriatic arthritis had a 30% higher incidence of hypertension when compared with people who had severe psoriasis. And people with psoriasis are already at a higher risk for cardiovascular problems. Make sure you have your blood pressure and cholesterol levels checked regularly. Detect problems early and get them treated pronto, avoiding more serious issues later on. Just as people with psoriatic arthritis are at a higher risk for cardiovascular disease, they’re also more likely to develop type 2 diabetes. In addition to careful blood pressure and cholesterol monitoring, pay close attention to your blood sugar. (This is a blood test that can be done at the doctor’s office). If it’s elevated, you may be able to ward off a type 2 diabetes diagnosis with diet, exercise, and lifestyle changes, which can prevent serious complications. As many as 60% of people with psoriasis experience depression. That means people with psoriatic arthritis—most of whom developed psoriasis first—are at risk as well. Some medications used to treat psoriatic arthritis may also alleviate symptoms of depression. Either way, talk to your doctor about the best ways to get help. Mornings are especially hard if you have psoriatic arthritis, as you may wake up stiff and in pain, says Dr. McKown. Taking a hot shower soon after you wake up can help dissipate those symptoms and help ensure your day starts off on the right tone. If your hands are particularly sore, putting them under hot water often will help. Consulting with a rheumatologist is critical to long-term management of psoriatic arthritis. Not only will this type of specialist be able to accurately diagnose your condition, he or she will have a good handle on the multiple medications available and will know about new medications as they become available. “We want our patients seeing rheumatologists,” says Siegel. This may seem like a no-brainer given that smoking cigarettes causes lung cancer, throat cancer, pancreatic cancer, emphysema, heart disease, and more. But it can also complicate matters even more for people who have psoriatic arthritis. 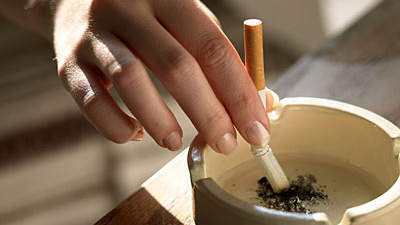 In a recent study of almost 1,500 psoriatic arthritis sufferers, smokers didn’t respond to medication as well as non-smokers and they didn’t stick with treatment very long. Not surprisingly, smokers also did not improve as much as non-smokers. The inflammation that is a hallmark of psoriatic arthritis can damage blood vessels and increase cardiovascular risk. Eating fresh fruits and veggies and whole grains while staying away from saturated fat and refined products can reduce this risk. “We recommend that people think about a heart-healthy diet,” says Dr. McKown. That means lots of fruits, veggies and whole grains, less fat, red meat and refined products. If you’re taking fish-oil supplements or just eating a lot of fatty fish like salmon and mackerel for your heart, you may already be seeing benefits to your joints as well. “There is evidence that fish oil can help with inflammation,” says Dr. McKown. 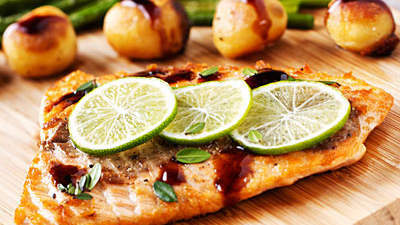 The American Heart Association recommends eating two servings (3.5 ounces cooked each) of salmon or other fish, especially fatty fish, weekly. Or talk to your doctor about a good fish-oil supplement. Researchers have noted vitamin D deficiencies are more common in people with psoriatic arthritis than the rest of the population. There’s limited evidence that more vitamin D will actually improve the condition, but vitamin D is necessary for many other aspects of health, including bone health. Most people get their vitamin D through sun exposure. Ask your doctor about how much time you should spend in the sun or whether it’s a good idea to eat more vitamin D-fortified foods or add a supplement to your diet. Too much alcohol can damage your liver even if you’re healthy. Some people with psoriatic arthritis are at added risk either because of the medications they’re taking or because they are overweight. Check with your doctor on how much it’s safe to drink or whether you should be drinking at all. 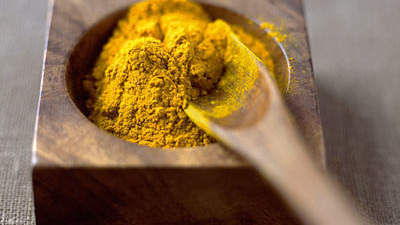 Turmeric, a spice used liberally in Indian cuisine, has both anti-inflammatory and antioxidant effects that may help control flares in both psoriasis and psoriatic arthritis, according to the National Psoriasis Foundation. You can flavor up your diet with turmeric-containing curries or take it in pill or supplement form. Check with a healthcare professional to see if a supplement is right for you. Shop for spatulas and other utensils with larger handles and grips. This will make life easier in the kitchen, especially if you have arthritis in your hands and wrist, says Frost. Other gadgets are available to help in the car (attachable seat-belt handles), the den (large-size remote controls), the dressing room (long-handled shoe horns), and the yard (ergonomic gardening tools). Small adjustments at home can make a big difference in your quality of life. For instance, if you happen to be in the market for a washing machine, choose a front-loader rather than a top-loader, advises Frost. Also, levers are more user friendly than doorknobs. “All you have to do is push it down and open the door,” she says. If you also have psoriasis (and most people with psoriatic arthritis do), keeping the skin condition under control will help ensure the arthritis is under control also. The good news is that many psoriasis medications are also prescribed for psoriatic arthritis. And some of the triggers are the same too, for example, stress, skin infections, and strep infections.